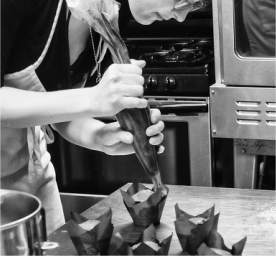 One of the biggest obstacles to turning a winning recipe into a thriving food business is the high cost of setting up and maintaining a licensed commercial kitchen. We exist to help you overcome that obstacle by providing a fully equipped, fully licensed, shared-use commercial kitchen allowing you to launch, test, or expand your business with relatively minimal risk. No high up front capital costs. No long term leases. We handle all aspects of maintaining a restaurant-grade commercial kitchen including all utilities, waste and grease disposal, and equipment so you can focus on what's important: growing your business. Our multi-station kitchen is equipped with full-size convection ovens, 6-burner stoves, a flat-top griddle, gas grill, deep fryer, stainless steel prep tables, a 30 quart mixer. walk-in cooler and freezer, and an abundance of cookware and work surfaces. If there's something we're missing, we may be able to work with you to obtain what you need. ﻿Includes 8 hours a month. Includes 40 hours a month. This package is for members requiring 4-5 full work days in the kitchen per month. Our Anchored option caterers to members with an established operation looking to turn Tampa Bay Kitchen into a long term solution. We work with you closely to create a custom lease package to meet your exact requirements. * Prices are for one workstation. Utilities included. Prices do not include Sales Tax. We are committed to offering the lowest rates possible. Contact us directly so we may give you a quote based on your specific requirements. Storage (Dry, Cool, Frozen) is available on a first come, first serve basis. Please contact us for current availability and pricing. If you just need a commissary, contact us for current pricing. 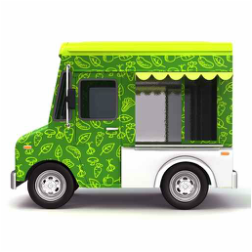 Our kitchen meets commissary requirements for food trucks (aka Mobile Food Dispensing Vehicles) and food carts (aka Hot Dog Carts). convenient access directly on US 19 just a quarter mile south of Westfield Countryside mall. The State of Florida generally requires a license issued by either the Department of Business and Professional Regulation, or the Department of Agriculture and Consumer Services. We can help you meet all requirements to get licensed. Each member is required to have a valid food safety certification issued by the state of Florida. Members are required to provide proof of liability insurance of at least $1M naming Tampa Bay Kitchen as an additional insured.